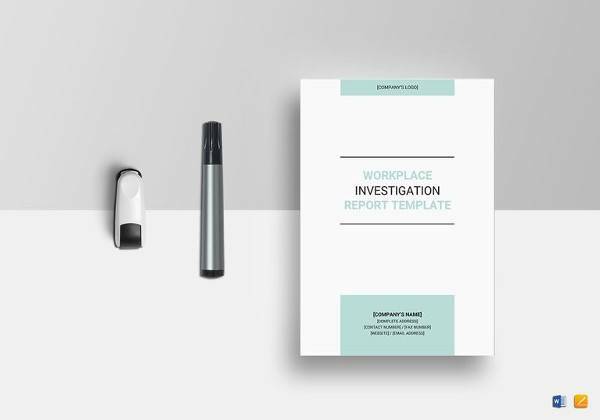 Formal report contains the necessary information which is important to understand about the business matter. 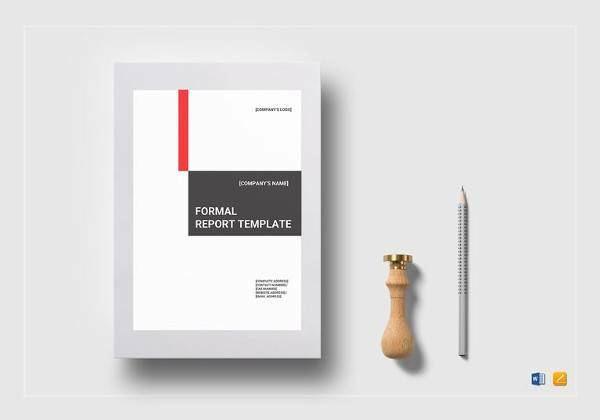 Thus a formal report template plays a major role in explaining the same thing in an easy way without skipping any important points. 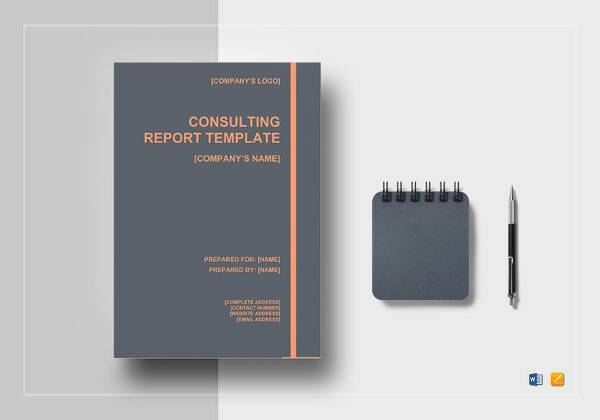 Report Templates will help the person to make it briefly and help others in decision making which in turn are very useful for a growing business or any new startup. 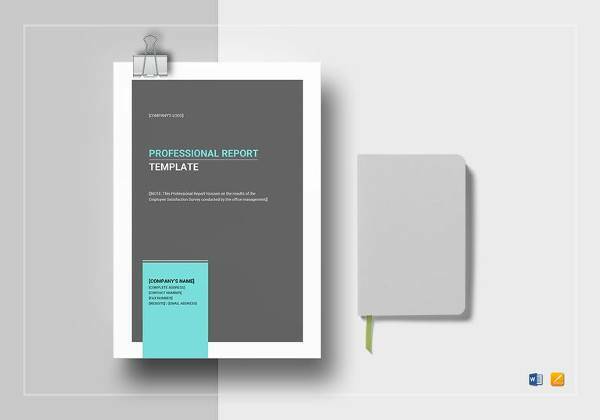 Our site offers these formal report templates so you can mark an impression. 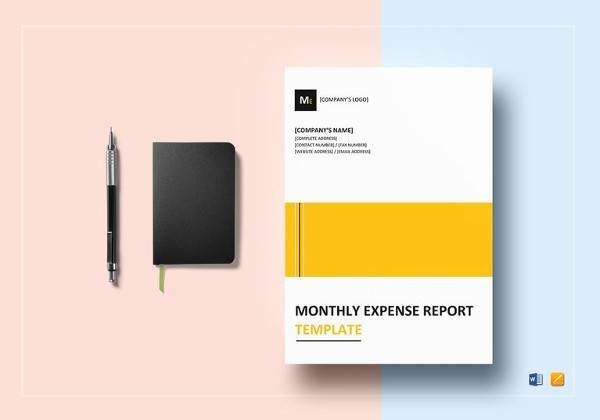 Moreover, you can grow your business all the templates are available free of cost in multiple formats. 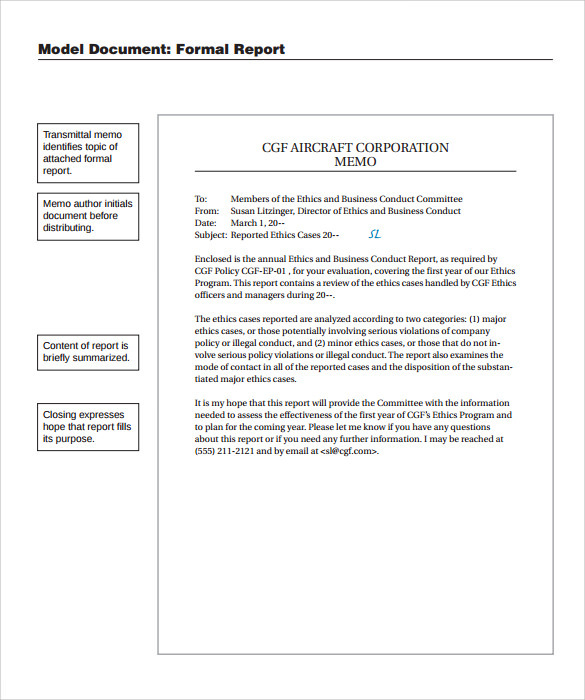 In the right hand portion of the template CGF aircraft corporation memo is included and at the left hand corner of the template memo authors initials, content of report is briefly summarized along with a note for closing expression is also included. 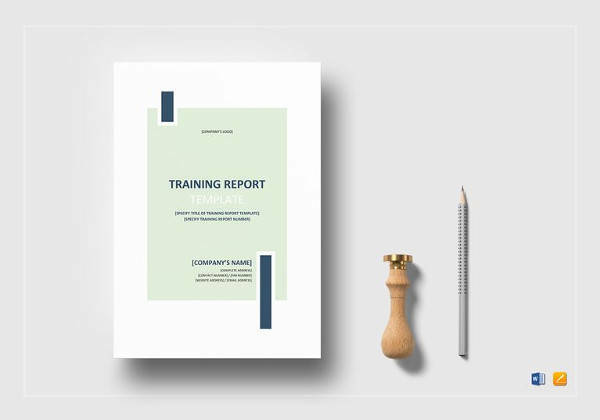 This is available in print ready formats and can also be available in PDF formats so that user can implement them as per their requirements. 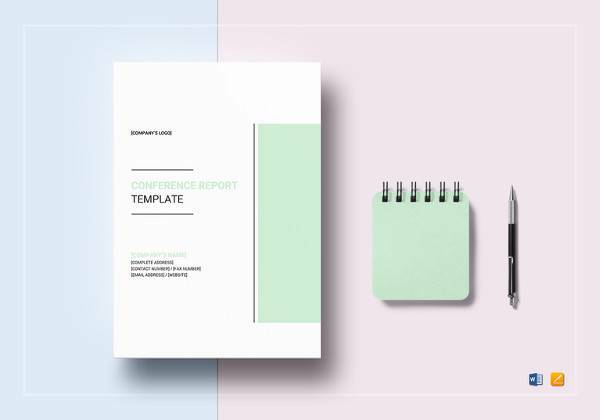 In this type of template there is a vivid areas of introduction is present where you can include why this types of templates are designed and what are the challenges they have faced to prepare this. Statement of problem and significance of the study are two other sections that need to be included in this format. 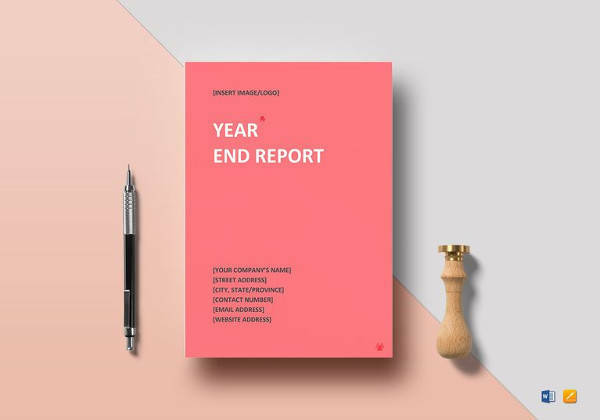 Title page, abstract, table of contents, introduction, main body and conclusion are the some parts that are included in this template. 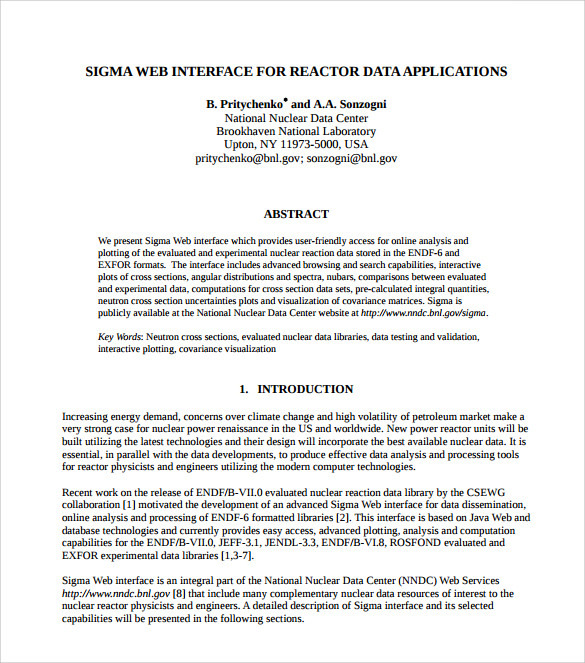 Several links are provided with this template from where it can be downloaded easily. 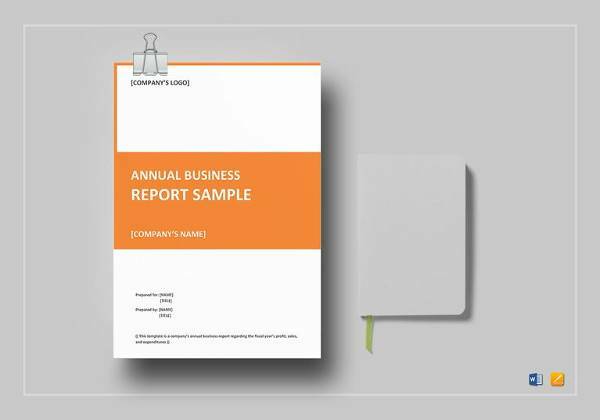 In this type of templates components of format report are included at first. After that, front matter, body, back matter and total writing procedure are included here to ensure a clear view for organizations. 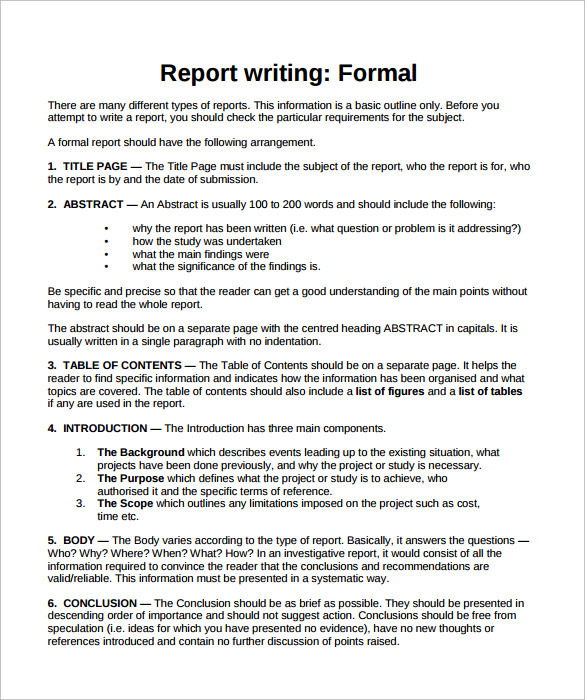 Why Do We Need Formal Report Templates? 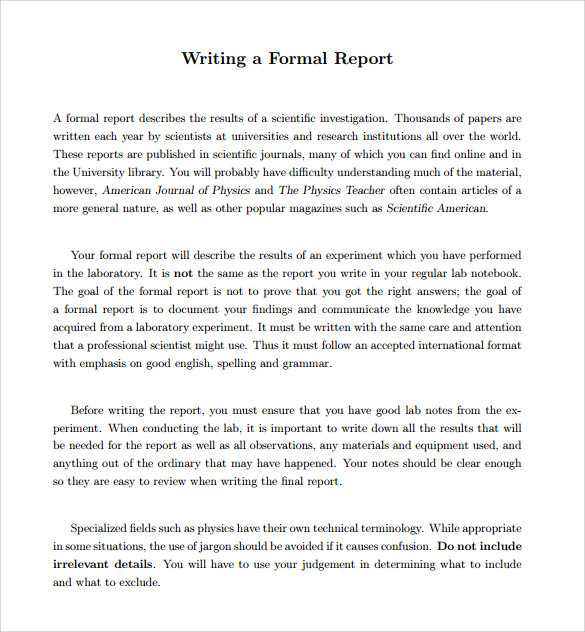 Formal report template is mainly used for publishing any business report in a regular interval. Either in press conference, or in general meeting or during any types of business discussion. It is widely used in various organizations as it ensures that not even a single point would not be missed out. It also helps people to explain the present situation of the organization briefly and also to determine the next step that needs to be taken into consideration. 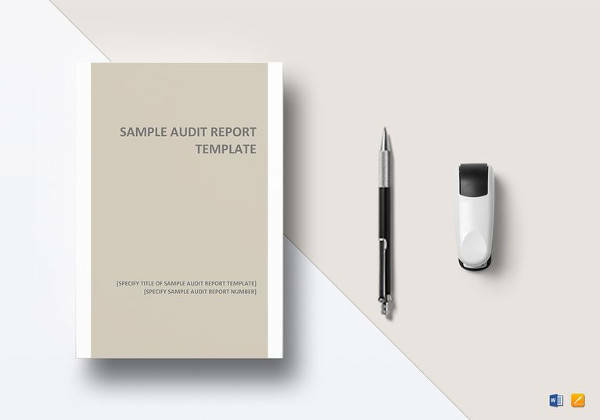 One of the many reasons that many organizations are looking for report template is that it can easily be downloaded from any of the list and can be custom made as well. 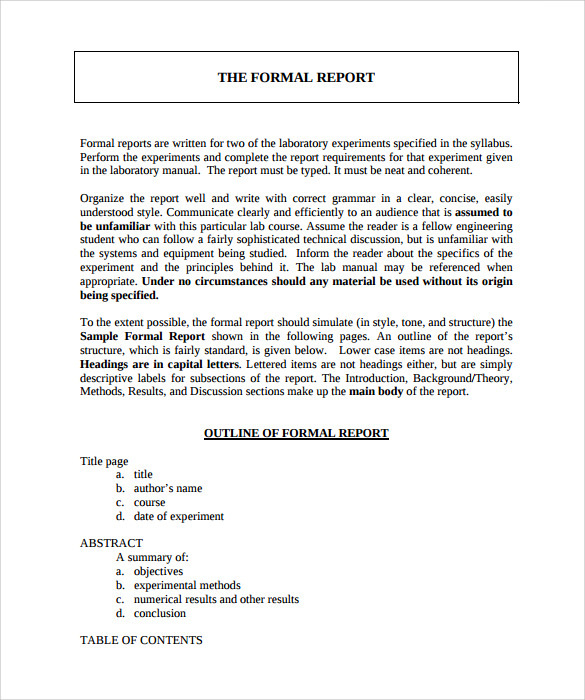 You may like Scientific Report Templates. 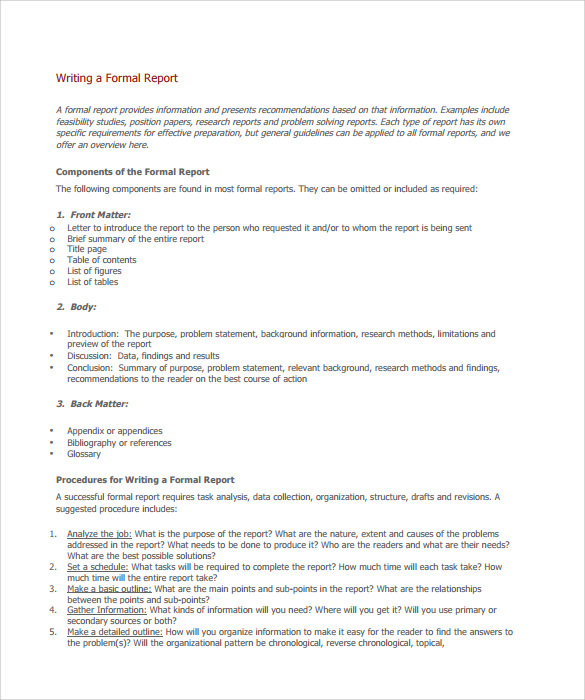 When Do We Need Formal Report Templates? 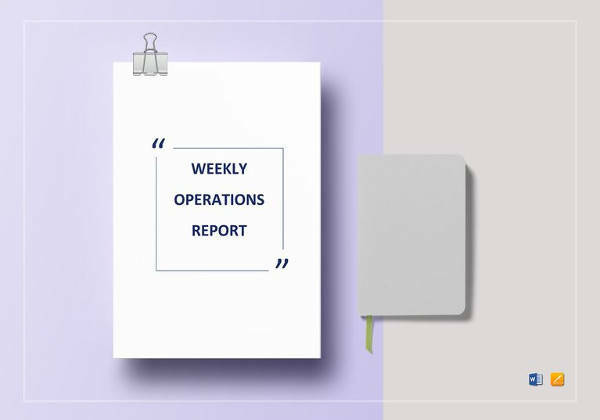 We need to formal report template when we are planning to present organization’s face in a forum. This is also used in various group discussions, in press conferences and others where a large number of people are present. These types of templates are used where large number of data needs to be representing in a serious manner. 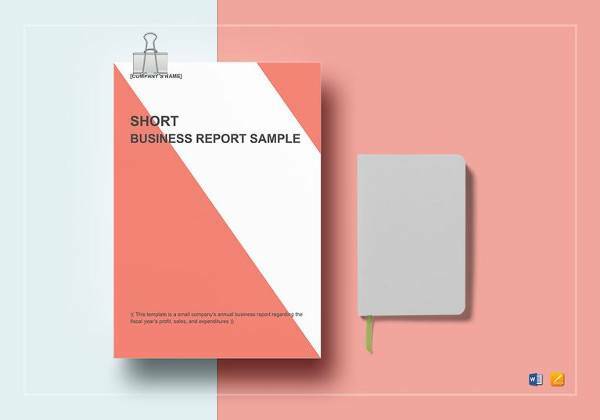 It also used by the various business professionals when they want to represent their company policy and viewpoint in front of others, then this type of template is used. You can also see Case Report Templates. 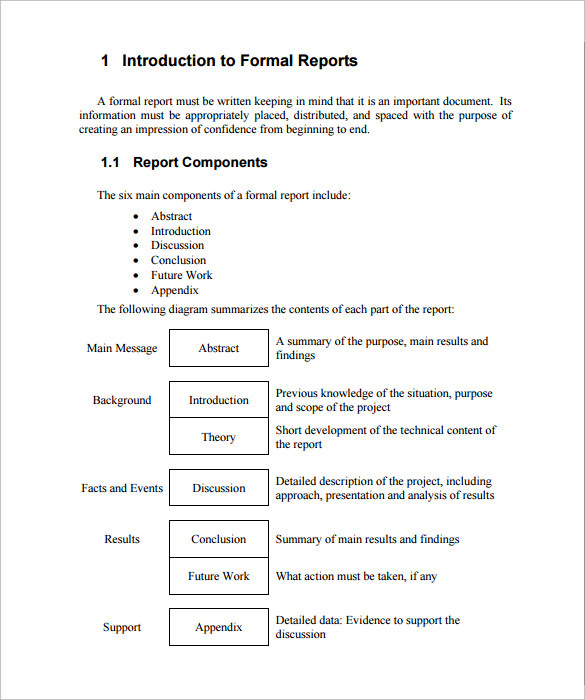 When you are creating formal report template, you need to keep in mind that what are the points you want to include in the template. 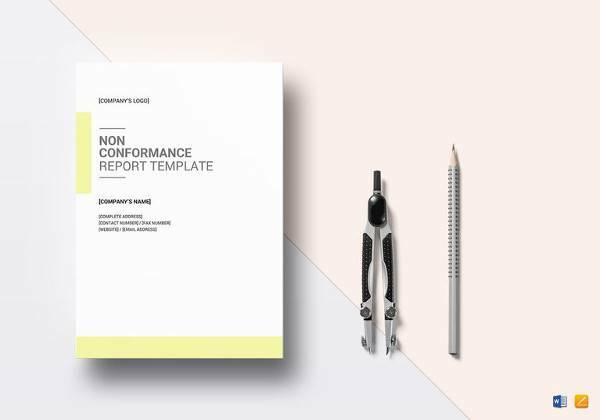 This plays a major role in building company’s presence so that you can include best points, achievements, and challenges you are facing to do this. 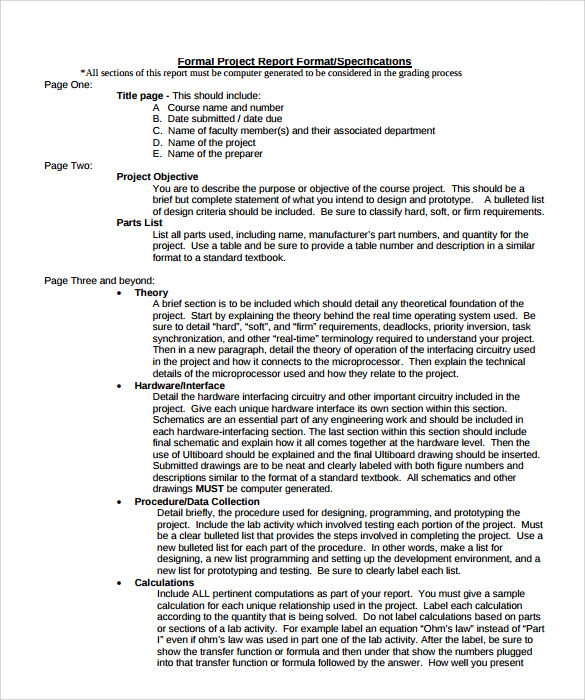 A formal introduction and a vivid area of research work are also included in these templates for justifying your work accordingly. 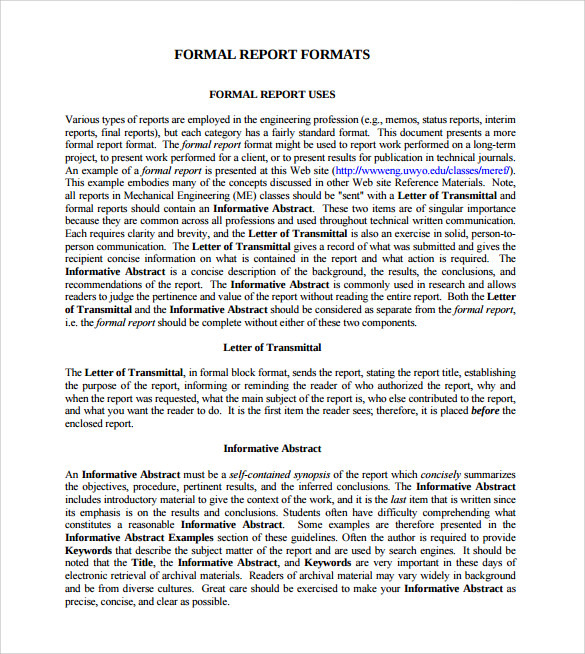 Formal report ensures that necessary information can be accumulated in an organized manner. 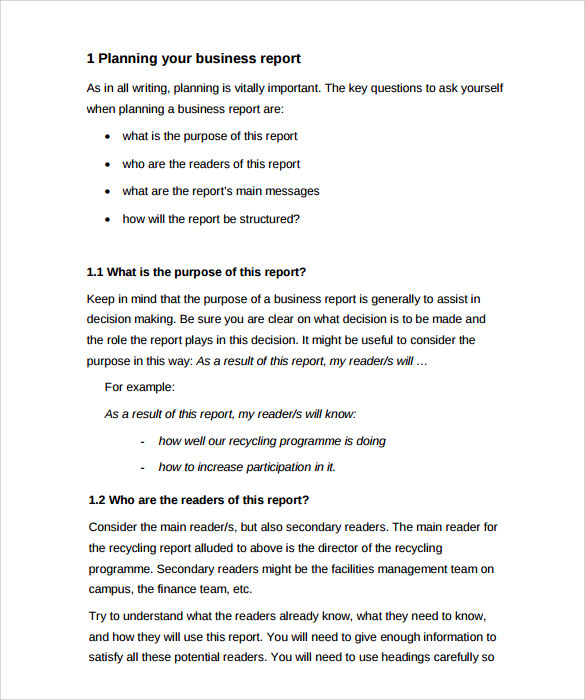 This is used for explaining business report in any organizations with regular interval. It can also be used for presenting the same in any conference or any other press releases. It is available in both PDF as well as word format make it ideal for use with no hassle.